Sunrisers Hyderabad (SRH) will take on Royal Challengers Bangalore (RCB) in the 11th match of IPL 2019 at Rajiv Gandhi International Cricket Stadium, Hyderabad on 31st March 2019. As far as weather is concerned, the temperature will be above 35°C during match hours. Not a lot of fun as a fast bowler. There is a bit of grass, which means that there would be some skid, and then some turn later on in the day. The high scoring game will be seen today. Sunrisers Hyderabad are coming with a win; registering their highest run-chase in the IPL against the Rajasthan Royals. After losing their opening match against Kolkata Knight Riders. While on the other hand, Royal Challengers are still looking for their first points of the season; losing their first 2 matches of the season. The only change Sunrisers Hyderabad would like to make is to replace Shahbaz Nadeem by Mohammad Nabi. After losing the two matches, Royal Challengers Bangalore may still play with the same combination. Sunrisers Hyderabad (SRH) and Royal Challengers Bangalore (RCB) have played 12 matches against each other head to head with one match abandoned due to rain. Out of the 12 matches, Sunrisers have won 7 matches and Royal Challengers Bangalore have won 4 matches. Last 5 matches between Sunrisers Hyderabad and Royal Challengers Bangalore, 4 matches are won by Sunrisers Hyderabad and the last one by Royal Challengers Bangalore. 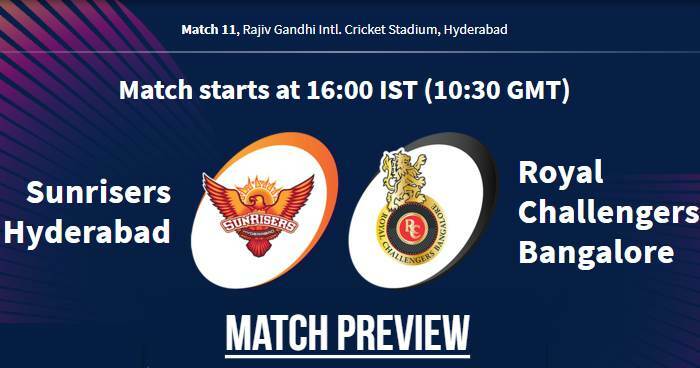 Sunrisers Hyderabad and Royal Challengers Bangalore have played 6 matches against each other at Rajiv Gandhi International Cricket Stadium, Hyderabad; out of which Sunrisers Hyderabad won 5 matches and Royal Challengers Bangalore won only 1 match. Virat Kohli needs 43 more runs to complete 8000 runs in T20 cricket. 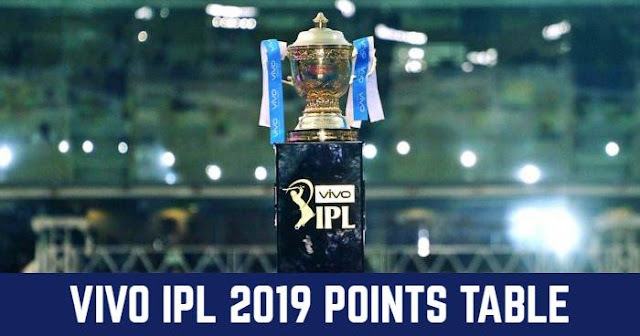 Rashid Khan has won the Man of the Match award in 4 of the 15 IPL matches he has played at the Rajiv Gandhi International Cricket Stadium, Hyderabad. David Warner has won 7 Man of the Match award in the 25 IPL matches he has played at the Rajiv Gandhi International Cricket Stadium, Hyderabad. Umesh Yadav has bowled 40 balls to David Warner in the IPL; he has dismissed the Australian thrice. Toss: Royal Challengers Bangalore won the toss and elected to bowl first. Probable Playing XI for RCB: Virat Kohli (c), Parthiv Patel (wk), Moeen Ali, AB de Villiers, Shimron Hetmyer, Shivam Dubey, Colin de Grandhomme, Umesh Yadav, Prayas Barman, Mohammad Siraj, Yuzvendra Chahal.